ACCORDING to the World Health Organisation, suicide is the second leading cause of death among 15- to 29-year-olds worldwide. It has also been reported that the incidence of suicide has been on the rise in Pakistan. WHO put the figure at an estimated 13,337 for all ages in 2012. It would certainly be higher today. As the country teeters on the brink, many of the socio-economic and political evils of yesteryears are making a comeback in a big way. One of them is the reprehensible organ trade. Rearing its ugly head at the turn of the century, the sale of kidneys was somewhat suppressed when the Transplantation of Human Organs and Tissues Ordinance was promulgated in 2007. This criminalised the sale of human organs and tissues. Thereafter, the opponents questioned it on several grounds, leading to yet another round of legal struggle. This ended successfully with Parliament enacting the Transplantation of Human Organs and Tissues Act in 2010, amidst a lot of rejoicing. Its credibility was established when some rogue elements in the medical profession and their accomplice vendors were arrested. Thus, good was deemed to have won over evil. One didn’t realise at the time that this was a case of misplaced hope. Some recent reports (especially two write-ups by Naziha Syed Ali) in Dawn made it clear that the criminals were back in business. This time they were careful and avoided media publicity. The papers were not flooded, as they were a few years earlier, with images of rows of people in rural areas photographed with their shirts pulled up displaying the incision marks across their torsos – the tell-tale sign of surgery for kidney harvesting. 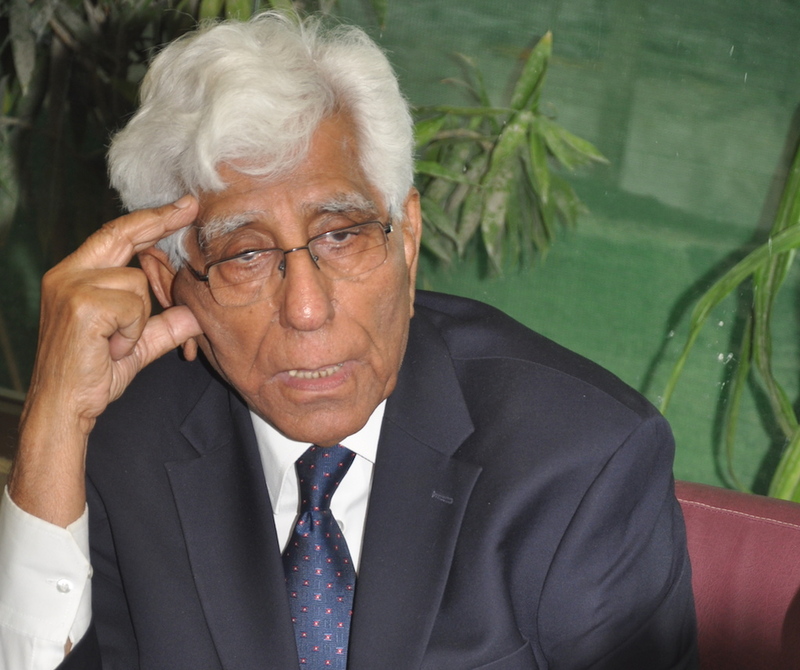 Matters came to a head when Dr Adibul Hasan Rizvi, director of the Sindh Institute of Urology and Transplantation (SIUT), wrote to the Supreme Court and drew its attention to what was happening, mainly in Punjab. In support of his contention, he sent the emails he was receiving from foreign doctors complaining about their patients having travelled to Pakistan and having been trapped by the organ traders. They had returned home mortally ill. Under the coordination committee set up by the Supreme Court, the SIUT organised a seminar and workshops last month to formulate recommendations to step up deceased organ donation (DOD). Dr Rizvi believes this to be necessary to change the pattern of demand and supply of organs and thus the economics that drives the heinous trade. Since human organs are in short supply, they can be sold at fabulous prices to desperately ill, wealthy patients. There is grinding poverty in some regions of the country, in many cases created by exploitative landlords and brick kiln owners, leading to the compulsion for impoverished people to sell their organs. There are also surgeons whose greed knows no bounds and they have chosen to forget their Hippocratic Oath to serve ailing humanity. These three factors have combined to give rise to perfect conditions for the commercialisation of organ transplantation in Pakistan. What is equally appalling is the minimal public awareness about health and illness and the general apathy towards the burden of disease among the people. It is only when a person falls ill that he begins to learn a thing or two from his own experience. With a media that has forgotten its key function of educating the people, it cannot be expected to take too passionately to health education programmes that have little commercial value. This public ignorance provides the medical profession its huge clientele. The fact is that the burden of disease in Pakistan can be considerably reduced by taking a few preventive measures. Spread more public awareness about healthy living. Provide sanitation and potable water to the people. The healthy environment thus created will cut down the incidence of disease. That would explain why kidney problems are on the rise in the country. Since the deceased organ programme has not taken off, the demand and supply gap has widened making organ trade such a lucrative venture. Will this exercise of drawing up recommendations produce any fruitful results? It all depends on the will and the capacity of those working for the implementation of the suggested measures. The transplantation law that was drafted by the late Justice Sabihuddin Ahmad is still believed to be a good law. Changes in the rules could finetune it further. As for putting a halt to the odious organ trade, the present law is sufficient for the police to take action and for the courts to act if they want to. The crime is committed so blatantly, that concerned authorities can crack down on the criminals – even those with powerful connections – if they want to. The SIUT’s conference and workshops, however, served a useful purpose in another way. They underlined the need to change our social attitudes and culture towards organ donation which Zehra Nigah, our top ranking poet, described as “Tuhfa-e-Hayat-e-Nau” (Gift of a new life) in the poem she recited on the occasion. There is, undoubtedly, a need to create the infrastructure, train medical professionals in how to handle life-and-death issues, in communicating with the patients and their relatives, and also define, in layman terms, issues like brain death. The recommendations address all these. Dr Rizvi also brought up the issue of capacity. He pointed out that the existing number of ICU beds in Pakistan cannot provide sufficient organs – even if consent has been given – to meet the needs of the country. Setting up a centralised registry for donors and patients in need, would facilitate the smooth and efficient working of a transplant programme in Pakistan. This can be accomplished by the numerous professional medical bodies, working closely together and with the government. The real challenge is to create public acceptance of deceased organ donation. In this context, the recommendations for the media and for education campaigns to create public awareness and popularise legal organ donation, are most pertinent. Some suggestions for the media, such as integrating the subject of organ donation in TV plays and programmes and including the theme in school textbooks, has the potential to be effective. The need is to analyse the basic factors that have hampered the awareness of deceased organ donation. Religion is no longer an obstacle. Islamic scholars in Pakistan, and in other Muslim countries, unanimously agree that deceased organ donation is sanctioned by Shariah. Superstition, ignorance and the fear of death that have given rise to a negative attitude to deceased organ donation in our society. People need to be told about death and grieving – especially of the need to talk about these phenomena. There is a need to help people see the beauty in the idea of saving lives. What better strategy can be adopted than what the SIUT itself opted for, when it needed to popularise organ donation by living donors related to each other. Initially, this idea was too radical for people to accept. The battle had to be won if the SIUT’s kidney transplant programme, that was launched in 1985, was to succeed. After the first few patients and their families had been persuaded to accept this miracle of modern medicial science, it became easy sailing. The patients and their donors became motivators for those who followed. The high rate of recovery of those with transplanted kidneys, along with the care and compassion the patients and their donors received, and the guarantee of life-long free medical cover, proved to be major incentives. I remember Rasheed, Transplant Patient #1 who came from Azad Kashmir with his brother, who was the donor. They became the agents of change for patients visiting SIUT. There was Rukhsana, the medical student and Transplant #9, whose sister helped her out. She went on to become a doctor. Such cases became an inspiration for other patients and their families. There was a lot of interaction among the various patients and donors, but there were also the unfortunate ones who didn’t have a donor. How could their lives be saved? The answer was: by deceased organ donation. That is what the SIUT’s conference was all about. Pakistan has had five deceased organ donors, now rightly described as national heroes by SIUT. The first such donor was Naveed Anwar, a student who was fatally injured in a road accident. When he was certified as brain-dead by a team of neurologists, his family – progressive and enlightened – decided to fulfil his oft-expressed wish to be an organ donor if he met such a fate. Dr Razzaq Memon was another and his family also donated his organs in keeping with his will, in spite of some reservations from the biradari. I mention these two because I have met their families and they have repeatedly endorsed deceased organ donation and their own role in the programme. And so it was that deceased organ donation made a debut in Pakistan. It should be noted that the first three donations were made even before Parliament had passed the law, which certainly helped in promoting the concept. The inspiration provided by the five heroes, needs to be brought to the fore. The families should lead this campaign. They have experienced the pain of losing a loved one. They have also felt the inner satisfaction and peace that comes from saving a life. Their words will carry weight, just as the SIUT’s presence on a high moral ground in Sindh has kept the organ traders away from this province. In a Third World country, “health for all” cannot be taken for granted, given the iniquitous provision of welfare and health care, combined with rampant poverty. So it comes as a surprise to me, a citizen of Pakistan, that health care should be the subject of such a fierce debate in the United States, where many of the problems faced by Pakistanis do not exist. This world power, after all, has the resources to provide the best health care for its people, if it wants to. Yet Truthdig’s search engine brought up 708 results for the last few months when I keyed in the words “health care.” It was eye-opening. It is clear that, despite the heated argument surrounding the Affordable Care Act, or “Obamacare,” that marked the advent of the Trump administration and the president’s failed efforts to repeal it, the controversy has not been laid to rest. Health reforms in Pakistan have met equally formidable resistance as in the U.S., where reforms in the health sector have always triggered major political battles. We in Pakistan have done slightly better at creating health care reforms from time to time, some of which were perfect on paper. But alas, these reforms were never implemented, even decades later. So our quest for a health utopia continues. In an ocean of despondency, ill health and morbidity, we Pakistanis, however, have a few islands of excellence. One institution in particular has the greatest potential when it comes to offering health solutions in universally challenging circumstances: the Sindh Institute of Urology and Transplantation (SIUT). The SIUT, a tertiary care hospital based in Pakistan’s most populous city, Karachi, has been sustained for more than four decades, during which it has grown incrementally in size and reach. The principles that underpin the SIUT’s model of health care could be adapted, adjusted and modified by any country to suit its own circumstances. And he means it. This is proved by the presence of mammoth crowds that throng the SIUT’s premises in search of succour. All treatment is free, despite the state-of-the-art technology involved, which is expensive. As might be expected, the overwhelming majority of the patients are poor, coming from the 39 percent of Pakistan’s population classified as suffering from multidimensional poverty, who have traditionally been denied adequate health care. At the SIUT, even the most costly laboratory tests or surgical procedures are provided for free, and the ailing are treated with compassion and dignity. “This approach hastens the healing process,” a bladder cancer survivor confided in me after he was pulled out of the jaws of death in this hospital. 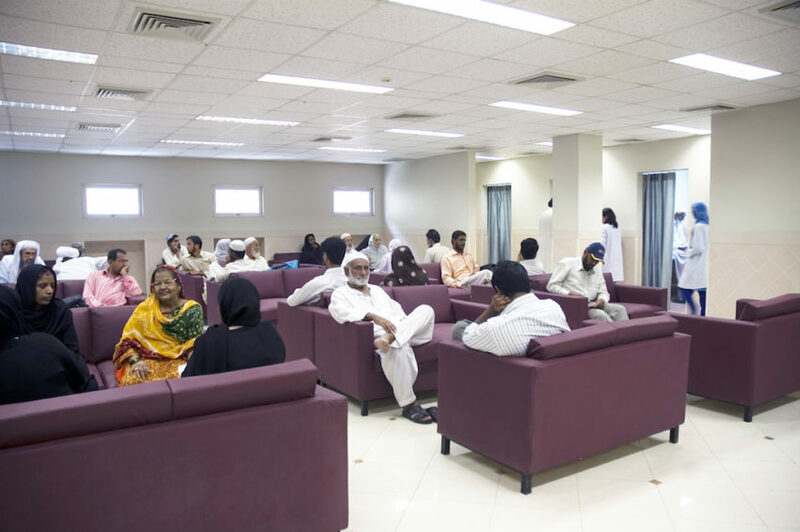 The SIUT’s Hanifa Suleman Dawood Oncology Centre offers cutting-edge technology for cancer treatment, and last year treated 34,420 patients free of charge. In 2016, the last year for which consolidated figures are available, 1.1 million people received treatment at the SIUT. Services provided included 8.8 million laboratory tests, 367 renal transplantations and 302,037 dialysis sessions. These can be frightfully expensive, especially transplantation and post-transplant medications, which have to be taken for life. By making its services available and free of charge, the SIUT, with its high success rate, has saved hundreds of thousands of lives. By adopting this approach it has also intervened in the illegal organ trade in Pakistan. The southern province of Sindh, where the SIUT is located, has never experienced the ignominy of hosting an organ bazaar. How has the SIUT’s miracle worked? The institute is a partnership between the government and the common man. The government facilitates the working of the institute, an autonomous body in the public sector, by partially funding it through budgetary allocations, physical infrastructure where available and project grants. The community’s role is crucial. While the affluent members of the public donate generously, the poor also drop a five-rupee coin in the collection box—such boxes are scattered all over the city. Businesspeople and industrialists have donated buildings and medical equipment worth millions. This combined effort makes it possible for the SIUT to expand—it now has 12 premises under its wings, with three outside Karachi. Donations enable the SIUT to provide free treatment to the community, which reciprocates by showing a sense of ownership toward it. To instill this confidence in the public, the institution must be seen as delivering on its promises. Any health care system that benefits the underprivileged inspires confidence in the donors and becomes sustainable in due course of time. No donor wants to feel cheated, which is why wastefulness and profiteering are the biggest enemies of such a relationship. To sustain confidence, expansion at the SIUT is incremental and strictly need-based. It has grown from its initial six beds to 900 beds today. Other health care facilities have tried to emulate the SIUT, but after many adjustments, Rizvi says the viability of the SIUT model is successful because it has been sustained for 42 years, expanding even while the national economy has shrunk. In 1975 the Pakistani rupee was worth almost 10 to a dollar. Today, it is 110. It is, however a young woman—Aymen Khan, 19—who is the best ambassador for the SIUT. Born with bladder exstrophy, a rare and dangerous bladder condition, Aymen commented, when I first interviewed her five years ago, “To God I owe my birth and to SIUT I owe my health.” Had it not been for the SIUT, Aymen would not have the normal life she leads today as a university student and sports enthusiast. Her family could never have paid her medical bills at a private health care facility. THE reading habit needs to start being cultivated in early childhood through stories of fantasy, fairy tales and folk sagas as these ignite the imagination and the curiosity of children. Every culture and every language has its own heritage of such stories. And so does Urdu. However, what was missing was biographies of renowned people written for younger readers in Urdu. IN a society as morally perverse and corrupt as ours, does a centre of ethics have any relevance? A cynic’s answer would be a resounding ‘none whatsoever’. The idealist/reformer would say, ‘all the more’. That is a dilemma that faces all activists in this country seeking to light the spark of change. Why is the SIUT a success story when other health institutions in the public sector in Pakistan have failed? This question is frequently asked by people who are wonderstruck by the SIUT’s performance. Few can believe that this immaculate hospital that sprawls before them is in the public sector. It has taken it 40 years to reach its present greatness. And it is still growing. ABDUL Sattar Edhi, the iconic humanitarian, who passed on recently, has been highly eulogised all over Pakistan and beyond. He has also received accolades for something more. He donated his corneas after death which bestowed the gift of sight on two visually impaired people. The pronounced lack of interest in the public health system in Pakistan is not difficult to explain. Public opinion in a country as stratified and uninformed as ours, is created and moulded by the so-called privileged classes, comprising those members of society who have the means to pay for private health care. Hence they are not affected by the abysmal state of health care in the public sector on which the poor depend. THIS week the Sindh Institute of Urology and Transplantation (SIUT) is holding an international symposium to celebrate 40 years of its existence. The logo designed for the occasion sums up its philosophy: “Every human being has the right to access healthcare irrespective of caste, colour or religious belief, free with dignity.” At SIUT you actually see this happening. I DISCOVERED the SIUT in the 1980’s when the private sector had begun to invade the healthcare system in Pakistan in a big way. My quest was for an institution that could meet the health need of the masses at a time when the government was stepping back from its basic responsibility of providing citizens their fundamental right to health.